This isn’t quite my normal “From the Help Desk” kind of tip for a tech-tip-Tuesday, but I ran in to it last week and thought you might want to know about it. I recently received an error from my Android, after a reboot, that it was unable to mount my SD Card, and suggested that it may need formatting. Bad sign. I wasn’t about to Format my SD Card and lose everything to “fix” the issue. I would have to reinstall a ton of apps, I would lose photos, music, and other documents on the card… no, I wasn’t going to have any part of this. Before continuing: it is possible that this process will not fix your card, it may be beyond normal repair, but this is just a suggestion that was able to get me back in business. Something is corrupt that is causing this issue, and there may be some applications or data on the card that is corrupted during the “repair” process, you may lose some data in thies proess. Again, although typically minimal if at all, this “fix” can result in data loss. Also, this is likely not a PERMANENT solution for you – the card is probably beginning to go bad and should be replaced as soon as possible. With the card inserted in to the computer, it should be assigned a drive letter (for example, “E:“). If you’re in the “Computer” (Windows 7) or “My Computer” (Windows XP) screen, you’ll see the drive listed, with a letter, but if you double click on it, it will prompt you to format the sd card. DO NOT format the card. You will see the computer run a checkdisk process on the sd card. It will repair whatever is wrong with the filesystem and you’ll most likely be able to use the card in your phone again. But do not ignore this warning – the card is clearly beginning to fail and you should move important data off of it and REPLACE the card entirely as soon as possible, copying all of your data to a new card! 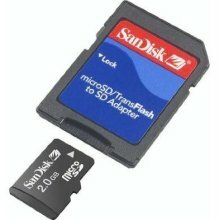 If you don’t have an SD Card Adapter like the one pictured above, or any other way to connect your SD Card to your computer, I do not know of any way to perform this process while the card is still inside your phone, sorry.